The ICBI is the official representative trade body for independently operated microbreweries in Ireland. 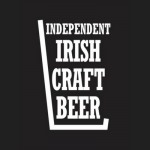 The organisation is run by brewers, with the chief aim of the promotion of Independent Irish beer and brewing. We act on behalf of our members on matters of policy and legislation as well as the overall development of the sector. For information becoming a member and full criteria, please visit our membership page. Indie Beer Week takes place for its third year. With independent breweries across the land celebrating their craft. Subject to strict licencing requirements, breweries will be able to sell their own beer at the manufacturing premises. November 2018. Latest Craft Beer Industry Report is released. The ICBI welcomes the publication of the latest report which identifies an accurate reflection of the market difficulties faced by our small but vibrant sector.